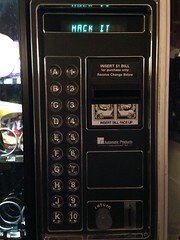 The vending machine at NYC Resistor has useful items for electronics projects and general hacker-life. 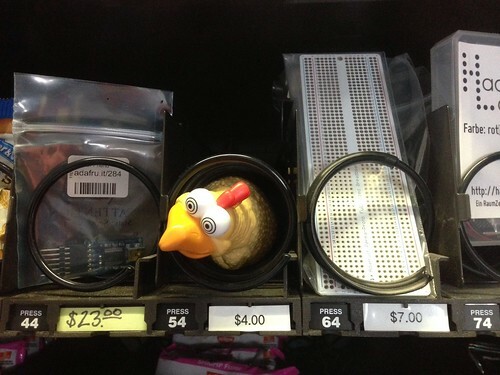 Arduinos, BeagleBone Blacks, Teensy, FTDI cables, ramen, deodorant, prophylactics, rubber chickens, breadboards, etc. 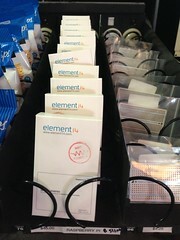 Raspberry Pis Teensy and Teensy++ HACK IT! This page was last edited on 4 July 2017, at 17:00.